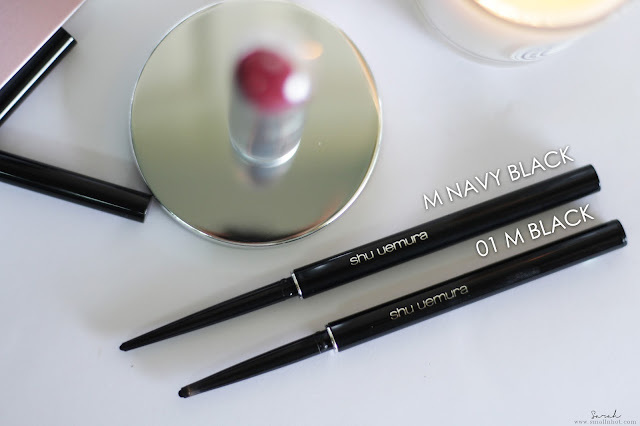 Shu Uemura Rouge Unlimited Supreme Matte & Lasting Soft Gel Pencil (Navy) - A Hit or a Waste of Time ? 2016 was the year of matte lipstick, and I don't think that the matte fever is over yet because Shu Uemura has just launched their New Rouge Matte Lipstick, collection. paired along with some new shades to their signature gel pencil eyeliner... Truth be told it's a bit mehh..! overall... But let's break it down to which is a hit and which is a waste so you can save some money. Shu Uemura Rouge Unlimited Supreme Matte is the new super-matte lipstick that has the perfect combination of extreme matte and ultimate comfort with moisturizing ingredients to deliver the smoothest matte finish with all-day comfort. 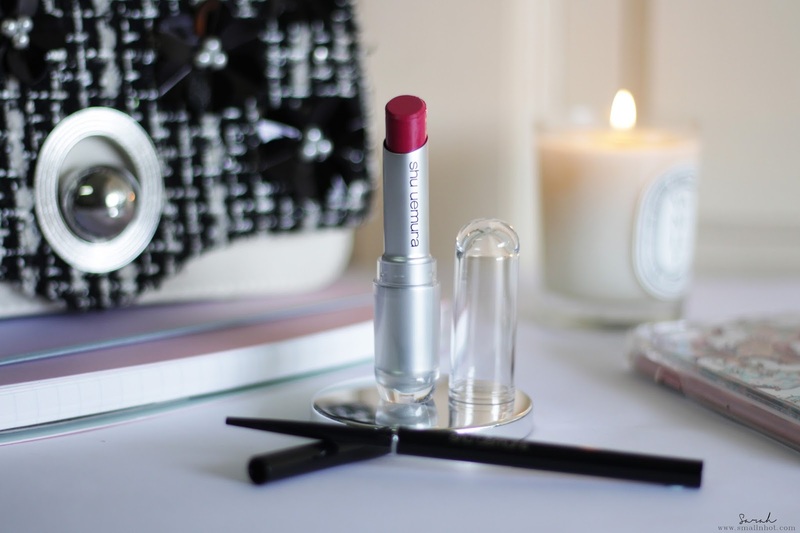 You'll LIKE it if you enjoy a creamy, matte and opaque lipstick. You'll HATE it if you are expecting it to last you throughout the whole day. Longevity is definitely not in the Shu Uemura Rouge Unlimited Supreme Matte's dictionary. 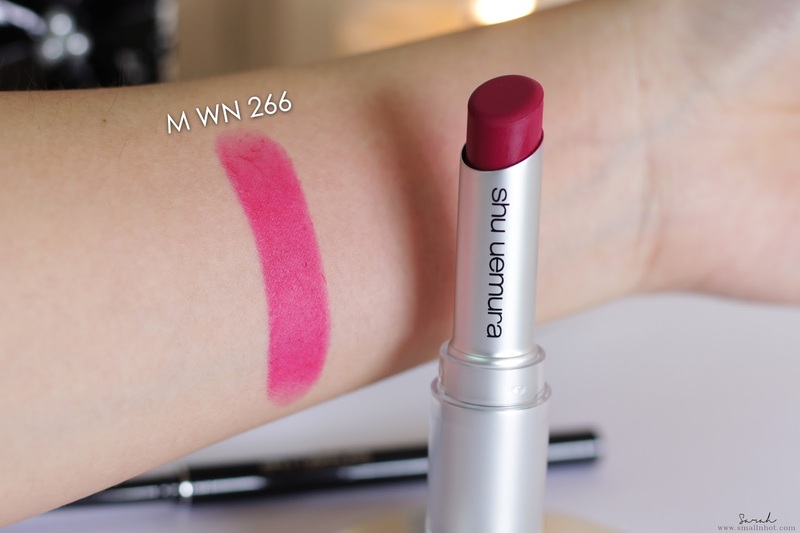 Shu Uemura Rouge Unlimited Supreme Matte is a straight up matte, which is creamier as compared to other matte lipstick, so it applies very smoothly straight from the bullet in my eyes. The shade WN 266 is a fuchsia pink color with a cool tone to it. I am loving it because this color really flatter girls with my olive medium skin tone, even if you have a little brown on the lips, the opaque fuschia pink color will still look very prominent on your lips. It doesn't make your teeth look like you've neglected to brush them for weeks but in fact it makes mine look whiter in a way. One downside to that creamy texture is the longevity. This Rouge Unlimited Supreme Matte will not last you throughout the whole day. Reapplication of this lipstick will definitely be needed every 2 to 3 hours, especially when you are out eating something greasy. 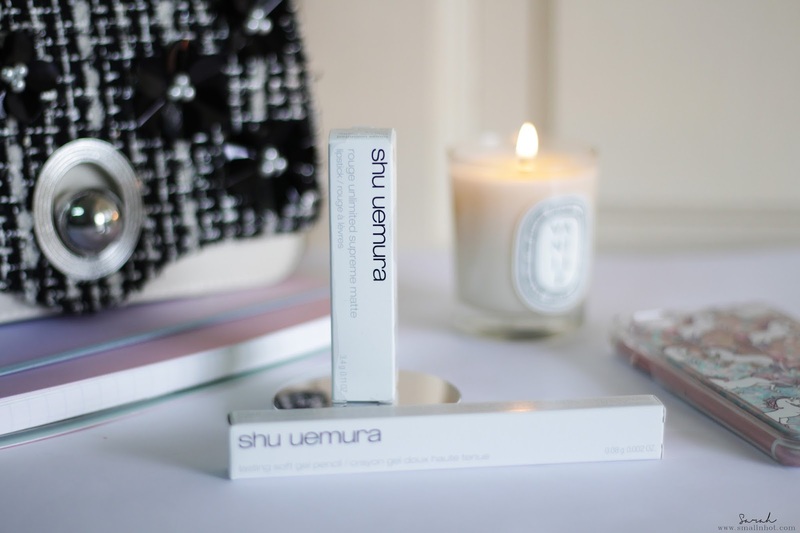 Shu Uemura Lasting Soft Gel Pencil allows you to draw a precise eyeline softly and easily with the new 1.5mm lead and clearly define your eyes. Waterproof, tear-proof and does not smudge for 12 hours. Also delivers an instant color payoff and an irresistable and defined look. Available in 4 new nuances of blacks (Black, Purple Black, Navy Black & Green Black). 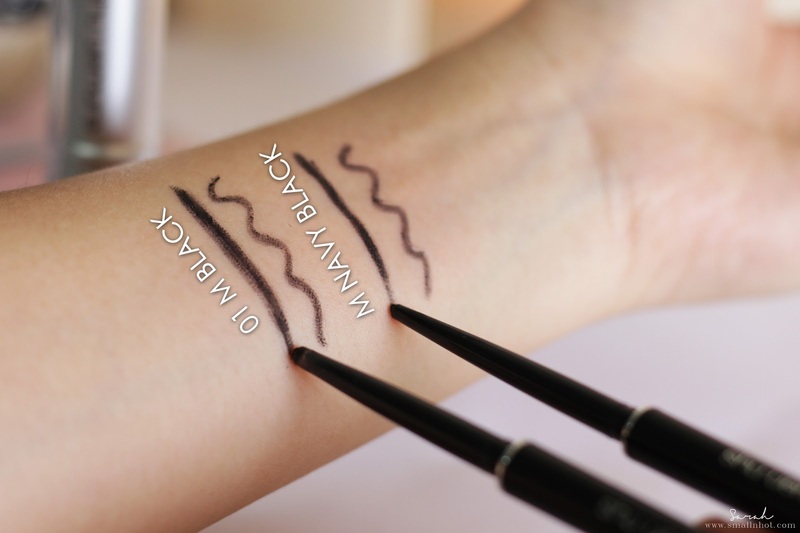 You'll LIKE it if you are looking for a water-proof eyeliner. You'll HATE it if fine and precise line is what you are looking for. You might get a slightly thick and blunt cat eye flick with this, if you are not a gel eyeliner pro. As I have always said my eyeliner application is simple, drawing a thin line across the top of the lid and wing it out. So here's the thing, the Shu Uemura Lasting Soft Gel Pencil whether it's the old version or the new formula, it doesn't seem to fit my requirement. Yes, the formula is waterproof which is amazing but the gel pencil is not creamy enough to glide it on my eyelid easily. I have to literally do a couple strokes on the same spot just to get that smooth and pigmented black line. In case you are wondering, is there any difference in terms of the formula ? I personally don't find any different because both versions felt pretty much the same.